While in beautiful Ubud Bali last month I discovered the Pondok Pekak Library & Learning Center which offers private classes in traditional Balinese art & culture to travelers. I decided on the Silver jewelry making class although fruit and vegetable carving sounded fun. The teacher was from a close by town that specialized in jewelry making. After deciding on a bracelet design I went to work. 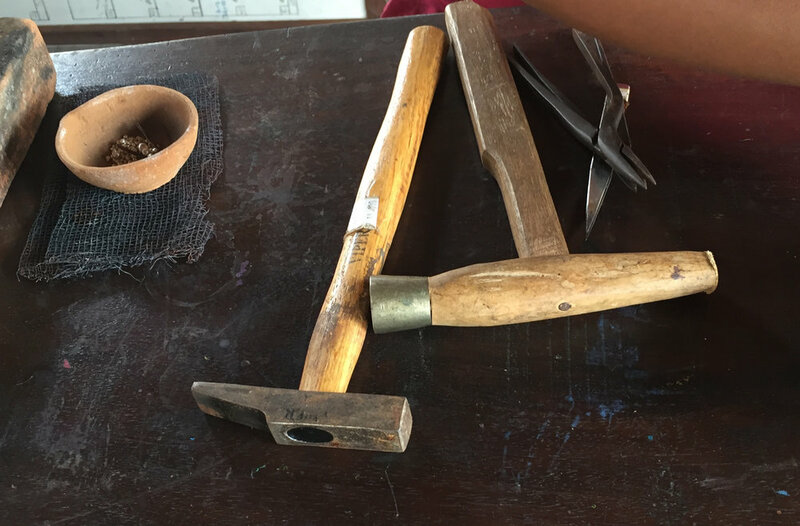 The tools were handmade and were really comfortable to work with. The torch ran on petrol and was kept going by pumping a bellows. Small beads were added by placing them with a thin wooden stick on top of a layer of glue made from the seed of a local plant..the glue was only good for a day.